Siri stands ready to answer your World Cup questions. The 2018 World Cup will be loaded with one-name football stars: Ronaldo, Messi, Isco, Neymar and, new to the lineup, Siri. 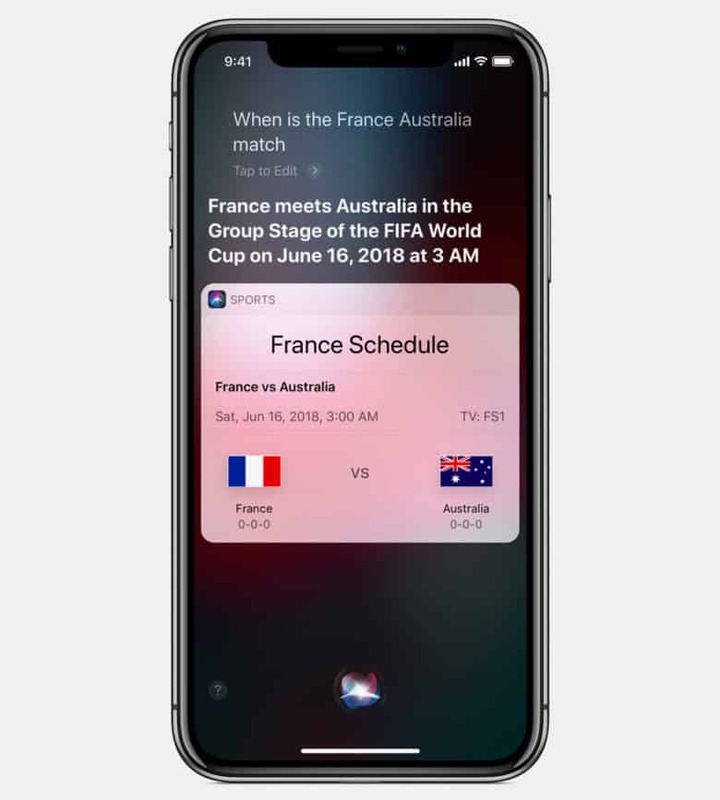 Apple’s voice-directed digital assistant will keep tabs on the World Cup schedule, scores and stats across all devices thanks to updates to sports support for users in Brazil, Denmark, Finland, Malaysia, Turkey, Thailand, Israel, Saudi Arabia and host Russia. Sports support now comes to Siri users in 35 countries.